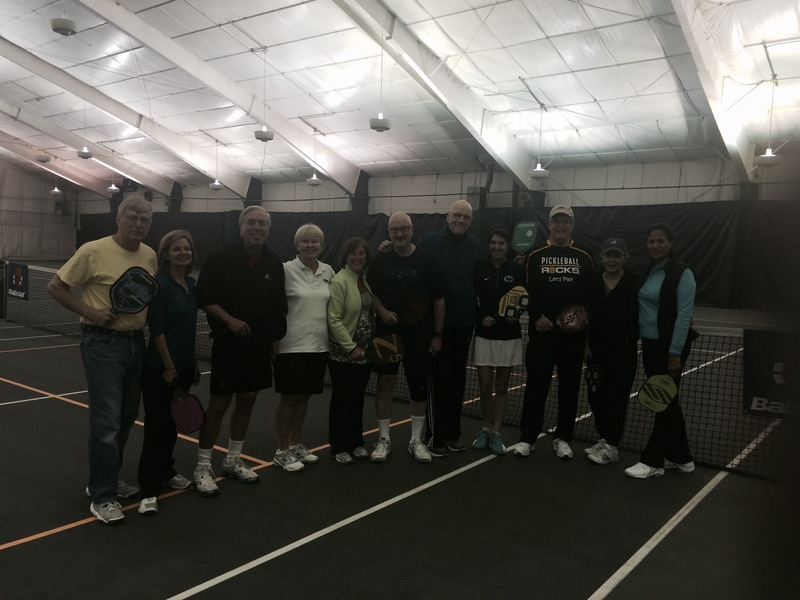 Belmont Country Club Pickleball Demo Saturday, March 28, 2015 – Pickleball is Thriving in Northwest Ohio! Fun group of Belmont and Toledo Pickleball players! A good crowd of approximately sixteen people attended the first Belmont Country Club Pickleball Demo this Saturday morning. Ron and Peg Hanna organized a group of tennis players who had just started playing pickleball and Connie Mierzejewski set up the demo with them. Marsha Koch ran the demo, as she, Connie, Jess LeMire and Charlie McKnight played a few points for the group and then mixed in the new pickleball players.Two tennis courts were used and marked off with the pickleball lines, plus the nets were lowered a couple of inches to pickleball height. By the end of our session, there were lots of smiles and a little yelling and teasing going on, as the Belmont players had some very spirited games. They plan to have regular playing times for those that want to play (and try) pickleball at Belmont from now on. A few of the players may even visit the Rossford courts when the weather warms up (hurry up please). Ron and Peg provided a healthy snack and dessert for all of the players and the Rossford demo crew, plus the Belmont group made a nice monetary donation to the Toledo Pickleball Club. It is safe to say that everyone had a good time and it was very cool to see the seeds of more pickleball growth locally. Job well done all!!! 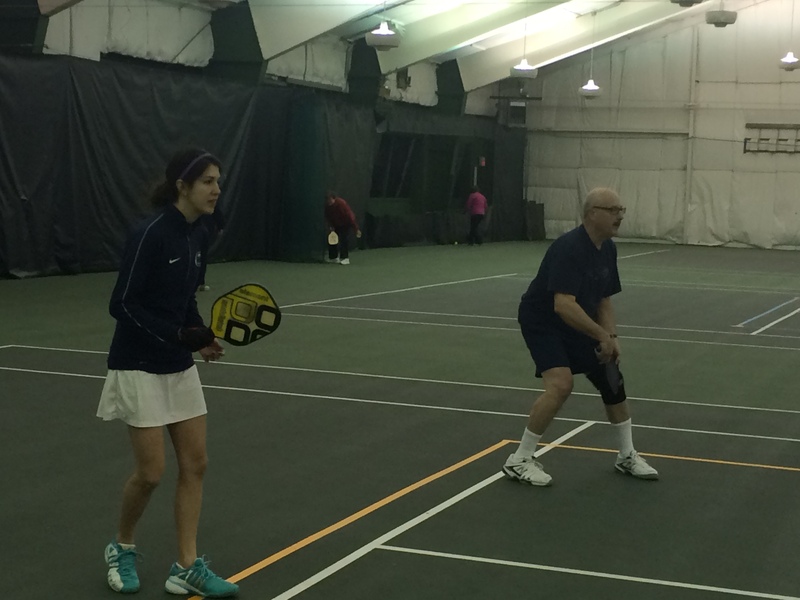 This entry was posted in Promote Pickleball and tagged Belmont Country Club, jessica lemire, toledo pickleball. Bookmark the permalink.